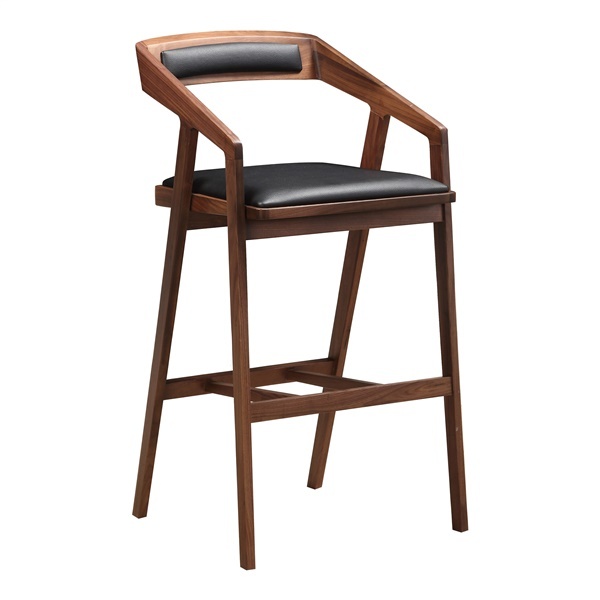 Moe’s Home Collection has taken everything we love about their Padma chair and put it into their Padma Bar Stool. This solid walnut stool has contemporary, clean lines with a comfortably upholstered seat. The contoured back comfortably cradles your back while the upholstered strip provides adds extra padding. The stretcher doubles as a footrest to make it even more comfortable and appealing.